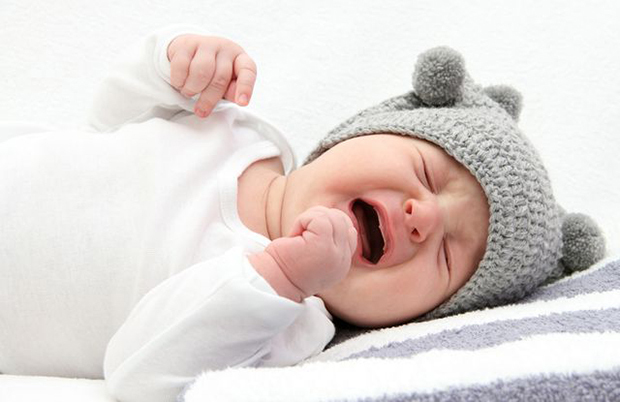 Colic is uncontrollable crying in an otherwise healthy baby. Colic is not a disease or diagnosis but a combination of baffling behaviors. It’s really just a catch-all term for problem crying in otherwise healthy babies — the problem being, there’s no solution to it besides the passing of time. And it’s common, occurring in one in five infants. Here are some techniques recommended by Dr. Sehgal that may help soothe your colicky baby. Fact: Colicky kids cry because they miss all the noise and stimulation they got in the womb. “If you take them to a noisy basketball game, they usually go to sleep,” notes Dr. Karp. Fact: “Babies aren’t sharks in the water, and they can’t smell your anxiety,” Dr. Karp says. What they can pick up on: body temperature and how relaxed you are — or aren’t. “When you’re anxious, you may jump from one thing to another because you’re uncertain, and they can sense that,” he adds. Fact: Some parents think that diphenhydramine, an antihistamine also sold as a sleep aid, will help calm tears. But it makes some babies cry more. Reflux meds also don’t often help — only about 2 percent of colicky babies have the type that warrants medicine. “Doctors know better, but under parental pressure they often medicate these kids,” says Dr. Weissbluth.